Notching another victory against Democrats to his left on spending, Gov. 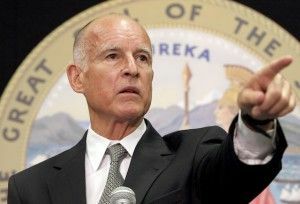 Jerry Brown rebuffed party legislators pushing him to add last-minute items to the state’s budget. More dollars were also allocated toward public education, preschool and childcare. On a longer view, Democrats were unlikely to be humbled next time around. Brown stands virtually alone in his party when it comes to even modest frugality in budgeting. Little indication has arisen that the next governor, if a Democrat, will want to check his party’s large left wing — or will be able to even if desired. State Democrats have begun to portray many budgetary issues as moral ones, making it difficult to back down next time around. “We didn’t get everything we wanted accomplished in this budget, so we’ll redouble our efforts in future budget deliberations,” said Assembly Speaker Toni Atkins, D-San Diego, Bloomberg reported. Brown received particular scorn for his unwillingness to add benefits to those who have additional children while on welfare. “It is morally and ethically wrong that we haven’t done what we should as legislative leaders to pull children out of deep poverty,” said Sen. Holly Mitchell, D-Los Angeles, according to the Bee. Earlier in the month, the contending sides tabled the controversy. But even that disagreement did not extend to the over $1 billion earmarked for transit costs including Gov. Brown’s prized high-speed rail project.